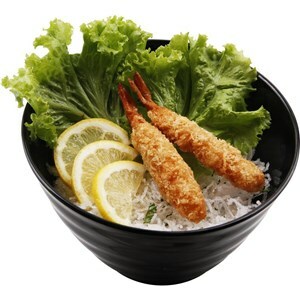 Melamine Dinnerware - Melamine Tableware - Manufacturer & Supplier in Indonesia.With hundreds of options to choose from that are all manufactured by the best vendor Glori Melamine Dinnerware in the foodservice industry, you’re sure to be satisfied by the quality and reliability of our melamine dinnerware. Built to provide you years of service, this melamine tableware will withstand the everyday wear and tear of any busy establishment. Pick from a variety of different brand lines to find the best choice that will complement your restaurant’s décor or theme. To complete your table settings, take a look at our reusable melamine barware, designer melamine tumblers, and flatware. If you're wondering where to buy melamine dinnerware and displayware, we have a large selection available at the lowest prices. Melamine Plates Manufacturer & Supplier in Jakarta Indonesia - Melamine Serving Plates Offer Unmatched Durability without Sacrificing Appearance. Melamine plates are some of the most attractive and reliable dinnerware solutions for any high volume establishment! Whether you own a casual restaurant and outdoor bar, or you operate a dining hall, cafeteria, or catering service, these melamine serving plates are sure to deliver style, function, and durability. Choose from a variety of color options, ranging from neutral shades to vibrant colors, to find the best plates that will complement your dining room’s decor. Melamine plates are perfect dinnerware solutions for your foodservice establishment. Known for its excellent shatter- and break-resistant qualities, melamine is a safe choice for high-volume restaurants, bars, cafeterias, dining halls, and outdoor venues because it won’t break into dangerous glass shards if dropped. 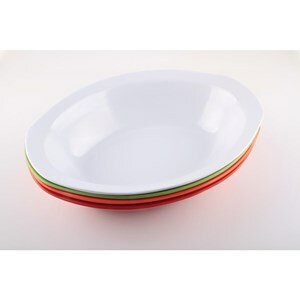 Melamine is also dishwasher safe, allowing for quick and easy cleanup at the end of a meal service. Not only are these dishes extremely durable and functional, but they’re also visually appealing. Our selection of melamine serving plates includes dishes in various colors, designs, sizes, and shapes, so you’re sure to find a set that will complement the decor of your modern cafe or retro bistro! To learn more about the differences between these products, explore the tabs above and the filters on the left side of the page. You’ll find melamine plates available in different diameters and shapes to serve any breakfast, lunch, or dinner entree. We also carry plates with separate compartments, which are ideal for serving patients in your hospital, nursing home, or retirement community. You’ll even find options made from eco-friendly melamine blends for use in environmentally-conscious establishments. For more great reliable products to set your tabletops, be sure to check out our reusable melamine beverageware, bowls ware, and flatware. Buat Permintaan Untuk "Melamine Ware"